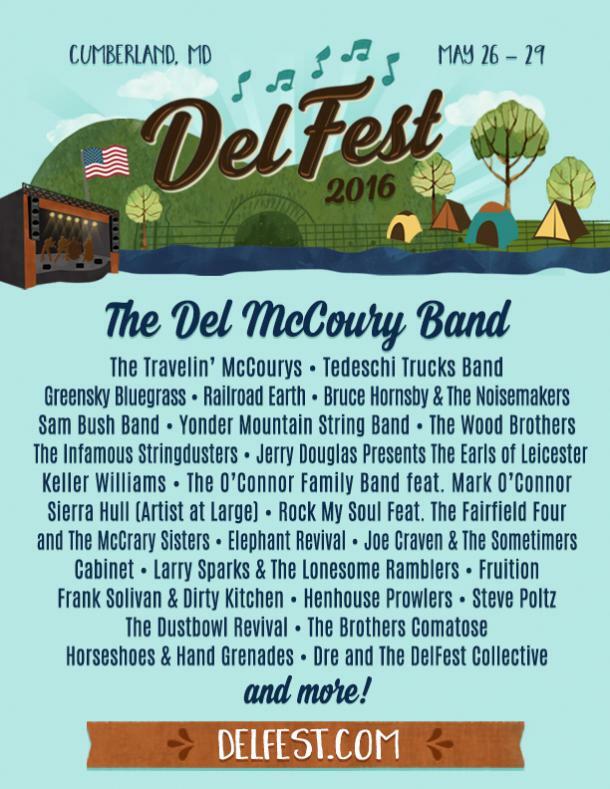 Delfest has emerged as one of the nation’s premiere bluegrass festivals, bringing world class string musicians along with the hottest rising stars to the beautiful Allegheny County Fairgrounds in Cumberland, Maryland May 26-29. This year there will be top notch performances from across the spectrum of traditional and progressive bluegrass, with a little soulful flavor thrown in for good measure. The family gathering features countless collaborations and sit-ins, as well as informal playshops and a full range of late night barn burners, offering some of the best acts all weekend. The weekend is filled out by some of the best up-and-coming talent from all over the country. Fans of funky, fresh takes on acoustic music will need to check out Cabinet, Fruition, Mipso, The Railsplitters and Dustbowl Revival among others. The more traditional folk vein is also present with such acclaimed artists such as Jerry Douglas Presents The Earls of Leicester, The O’Connor Family Band featuring Mark O’Connor, and Larry Sparks and The Lonesome Ramblers. One thing that sets Delfest apart is the Music Academy, held during the four days preceding the festival. The Academy invites musical hopefuls of all talent levels for an intensive, 4-day camp of workshops taught by some of the best musicians in the business. This year’s instructors include household names such as Robbie and Ronnie McCoury, Andy Falco, Jason Carter, and Sierra Hull. Nestled along the banks of the Potomac River, Delfest encompasses a full week of family-fun with many activities run by the Kidzone, an Arts and Craft Faire, and a wide variety of local food and beverages.